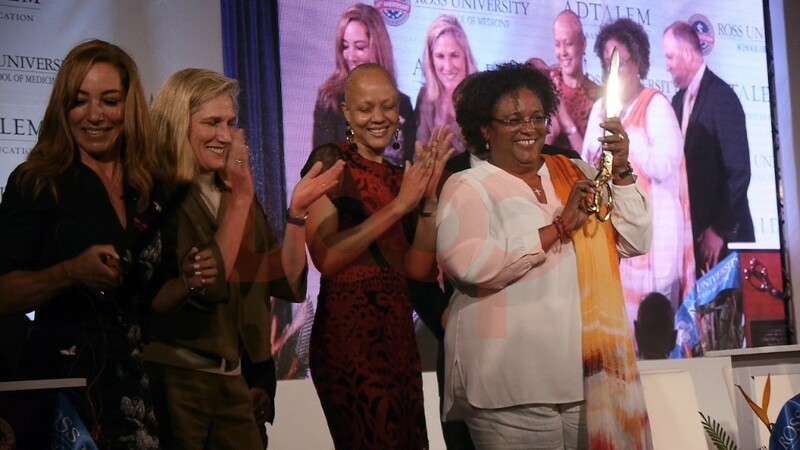 Prime Minister Mia Mottley speaking at the podium during the Ross University School of Medicine opening ceremony. 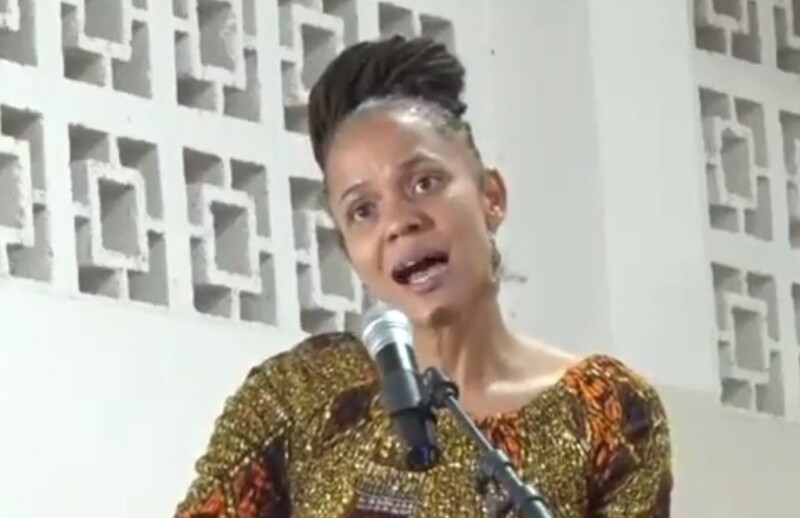 Almost every member of Cabinet was thanked for the role they played in making the move and opening of Ross University School of Medicine in Barbados a reality, but special mention went to the Education Minister, Santia Bradshaw. "To my Cabinet, the public officers, all of whom worked hand-in-hand to be able to make this possible. To the permanent secretaries, to the Chief Technical Officer, the Chief Education Officer, the Chief Medical Officer, the Minister of Health, the Minister of Housing, the Minister of Home Affairs, the Minister of Tourism, and the Minister of Finance in the Ministry of Finance - Minister Straughn, Minister in the Ministry of Economic Affairs, and to each of you, to the Minister of Information, Public Affairs and of course you will forgive me if I reserve [Minister] Santia [Bradshaw] for the last... for her working against all odds." Putting great emphasis on the word "all", her comment was met with loud rousing applause from each and everyone gathered in the Conference room. 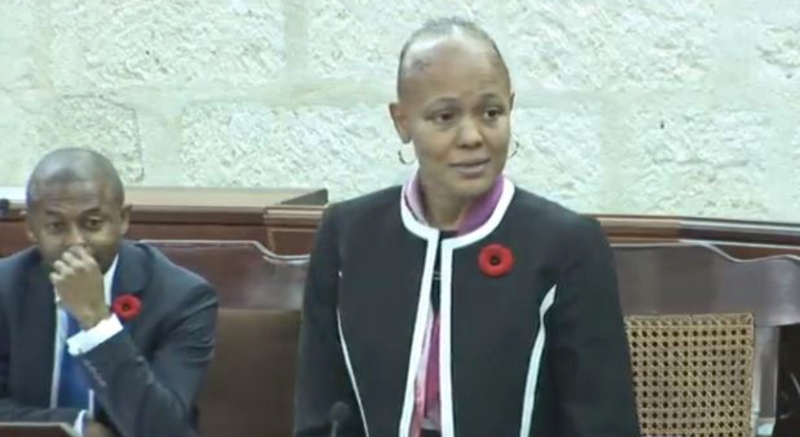 And she extended her gratitude to the private sector in Barbados asserting, "This is what partnership is about." 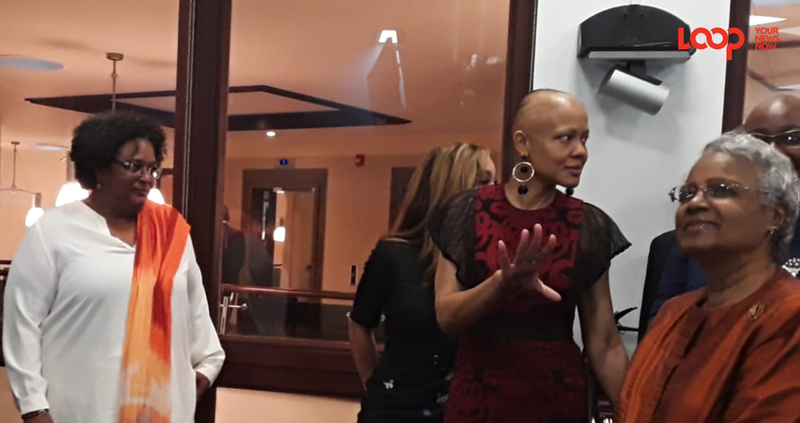 She thanked the lawyers - LEX Caribbean, contractors - Moorjani [Caribbean (Barbados)], Preconco, to the real estate agents - TERRA, and the subcontractors. 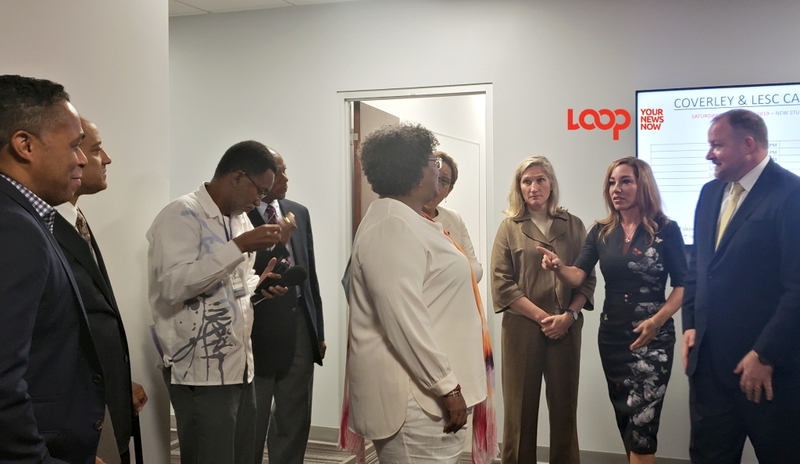 Prime Minister Mottley said that in the future, at an appropriate time, she hopes to host an event to personally thank the persons who made this project a reality, "because to have done what was done over at Coverley and at LESC in less than five months....is nothing short of miraculous." To the Ross University team and the ADTALEM team, she added, "No one can say that there weren't problems, of course, there were problems, but it is the respect that each party I believe has brought to the table that has made it possible for us to see in every problem an immediate solution. I thank you truly on behalf of Barbados." She also extended an invite to ADTALEM to join in at the thank-you reception whenever it occurs. "Well, this has been a journey from May when we were given the vision from the Prime Minister and obviously the offer from Ross to make this a reality. We've worked really hard to make sure that there's been balance both in terms of the what the government would have wanted, but also what Ross as an off-shore medical school would have wanted. Throughout it all it has shown that great things can happen in a short space of time if people work together. I think it has tested all of the various ministries, made everyone realise what was at stake and what we had to do in terms of changing the way that perhaps the approach was towards off-shore medical schools before, and making sure that is was a win-win; that we got what they wanted and also that we go what we wanted for the people of Barbados as well." Not 100-percent, she said that when the press conference was held prior to the opening she missed out. "So I'm excited to actually see this coming to fruition. I wasn't here for the actual press conference, I watched it from Miami, you know? And I was very happy then to see that the hard work has paid off." With a huge smile, she added, "But to see the opening here today, to see what they're doing in terms of technology, to recognise that there are synergies that are on the horizon for Barbados in terms of Nursing, in terms of emergency medical care, our doctors, our hospitals; it means the future looks bright for Barbados, and so I'm glad that we can all be here today to see what is possible when people come together with a common goal!"